Most of the major retailers in the UK don't seem to give a toss about the box condition and seem to think its fine to send beat up boxes has long has the actual contents are complete. Its disgusting really, I phoned Asda up once about it and the lady basically said well the Lego is there isn't it?. yeah well i don't really want to turn up to my daughters friends party with a teared bashed up box. i look like a right tight arse. I presume that the Shipping box was OK, so it implies TRU was responsible and not the shipping company? I am disappointed and even a bit annoyed when I receive boxes that were obviously damaged from the start or when items are damaged as a result of complete neglect in secure packaging. But you're definitely more perturbed than I have ever been, and I've received sets in considerably worse condition. I'm not sure how much online purchasing you do, but if you do much more in the future, you are bound to also see worse. I ordered some sets from Argos in Dec, they sent them in plastic bags. Had to return them at the local store which didn't have replacements in stock. 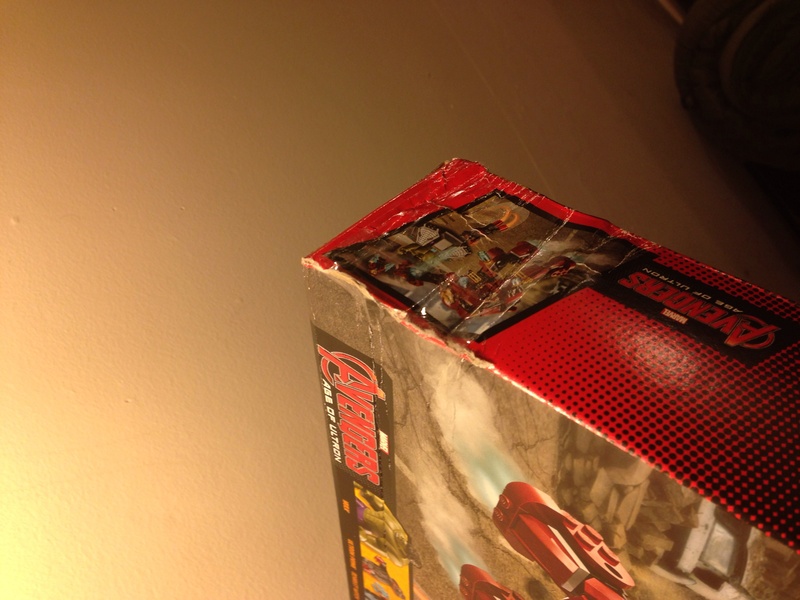 My guess is they were damaged in the warehouse so they assumed that they could just tape up the box and sell them anyway, which is really a really poor attitude IMO. Plus you do not know what may have been lost on the warehouse floor when the boxes were broke open. Glad you at least could return them and get a credit note, but it stinks that you had to take time out of your day to have to do that. TRU having an eBay store sounds sketchy for some reason. I ordered the entire Pirate line a few weeks ago except for Brick Bounty and received everything in nothing short of remarkable quality. So I don't know I think it's hit or miss quite frankly. Just received the Cargo Train, Passenger Train, and Train Station. Each arrived in its own enormous box. Cargo and Station were filled with airbags. Passenger Train had two air bags thrown in for decoration. Luckily, all three arrived in great shape. I just got an order of the train station and a small friends set in a huge 26x20x8 inch box with absolutely no packing material at all thrown in. The two sets were free to rattle around, and they still appear to be in great shape by some miracle. The average box on a store shelf looks much worse than these. No idea how I got so lucky, as I was anticipating the worst when I felt them move freely inside. As much as they mark up their prices, they have to have as many sale outlets as they can get.